Greek judge Eleftheria Germanaki reported that 60 Greek extra virgin olive oils (EVOOs) were among the 502 entries representing 156 different olive varieties from 20 countries. 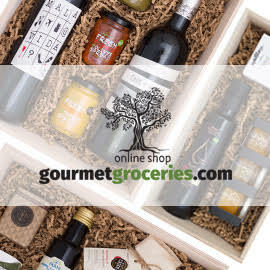 Seventeen international judges from eight countries awarded Greek EVOOs 19 Gold Medals and 23 Silvers, plus another four Silvers and two Golds for flavored olive oils and Best of Messenia, Best of Crete, Best of Greece, and Best International Monovarietal - Northern Hemisphere distinctions. Germanaki pointed out that the competition’s two special awards for specific olive growing regions in Greece are unusual. Moreover, she emphasized “one more great recognition” for Greece this year, with LIÁ Cultivators’ LIÁ Premium Edition winning both a Gold Medal and the competition’s Best Monovarietal EVOO of the Northern Hemisphere award. LIÁ Extra Virgin Olive Oil also earned a Gold Medal. 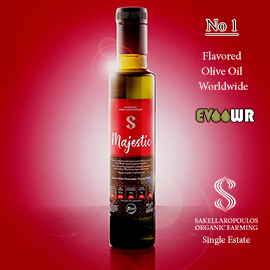 Crediting her region with some of the world’s best olive oil, Stribacu observed that “81% of the brands from Messenia that participated in EVO IOOC have been awarded.” With more than 25 entries from Messenia, the EVO IOOC presented a Best of Messenia award for olive oils from that part of the Peloponnese peninsula. Along with a Gold Medal, this honor went to Dragonas Bros. S.A. for their Angel EVOO (PDO Kalamata). Alexandros Dragonas told Greek Liquid Gold his family’s 113 year old company exports EVOO and other all natural traditional products throughout the world. He is very proud to have his family’s many years of efforts to improve their practices and produce high quality products recognized by a number of awards in the last two years. A member of the Kalamata Tasting Panel, which is recognized by the International Olive Council, Dragonas reports that his company also does chemical tests on their products, and he emphasizes EVOO’s wonderful, wide-ranging health benefits. 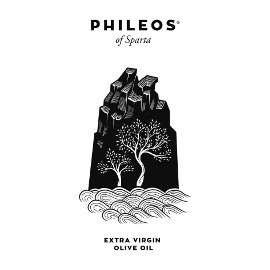 Another olive oil producer focused on both health benefits and flavor, Eftychios Androulakis, won a Gold Medal and the Best of Crete Award for Pamako Mountain Bio Blend, as well as a Silver for Pamako Mountain Bio Monovarietal. 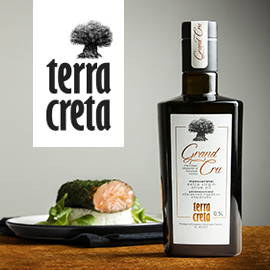 As Androulakis commented, “our pure love and our true innovative passion for olive oil was awarded 18 times this year, and all these feelings are inside our bottles.” In this “difficult year” for Cretan olive oil, he attributes his success to “hard work, a lot of experiments, the Tsounati olive variety that almost nobody knew five years ago, sleeping in the factory, making innovative machines from scratch, creating olive oil without the pit, using inert gases, freezing the olives before crushing, and many more things!” He feels a strong sense of “responsibility” to continue providing excellent EVOO in every bottle. Thanks to Eleftheria Germanaki for the photo of the EVO IOOC judges at the archaeological site of Paestum, and thanks to Cristina Stribacu of LIA Cultivators and Margarita Nikitaki for the photo of Stribacu. The EVO IOOC Guide 2018 Buyer's Edition, the competition's 361 page English-language guide to all of its 312 award-winning extra virgin olive oils and flavored olive oils, is now available for free download from the contest website. Aimed at just about anyone interested in olive oil (using, buying, selling, or making it), this free guide provides information about each of the competition’s award-winning EVOOs. 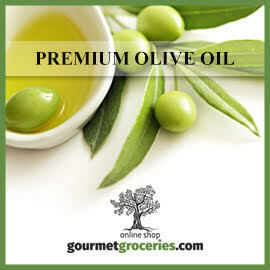 For the many Greek Silver Medals for extra virgin olive oil, see the competition website. Congratulations to all the winners! 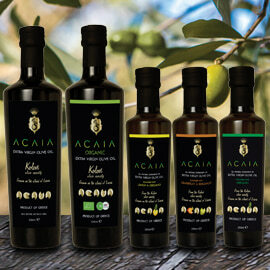 For the Greek Silver Medals for flavored olive oil, see the competition website.